Allied Arts is conveniently located in Bellingham’s downtown business district. 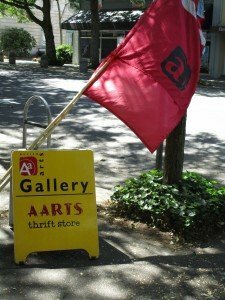 Allied Arts Gallery, Art Supply Thrift Store and Offices are open Tuesdays-Friday, 10:00 am-5:00 pm And Saturdays 12:00 pm-5:0 pm. Closed Sundays, Mondays, Thanksgiving weekend and December 20-January 2 to wrap up the Holiday Festival. Need to contact us? Send us a message and we’ll get right back to you.